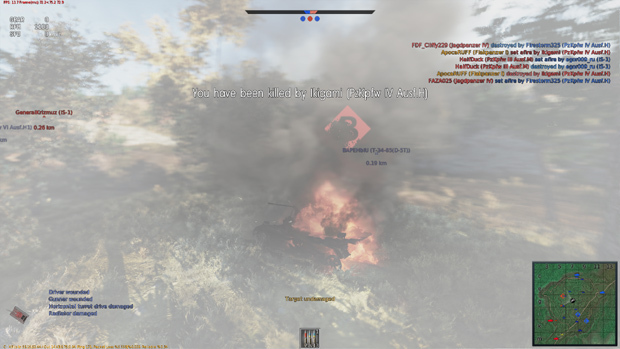 War Thunder is a flight combat MMO developed by Gaijin Entertainment. Originally made available in 2012, the game has come quite a long way. Its most recent addition will be the “Ground Forces” portion of the game, which will add tank combat. In the end, Gaijin hopes to add content to cover every area of warfare and this is the next step in that direction. 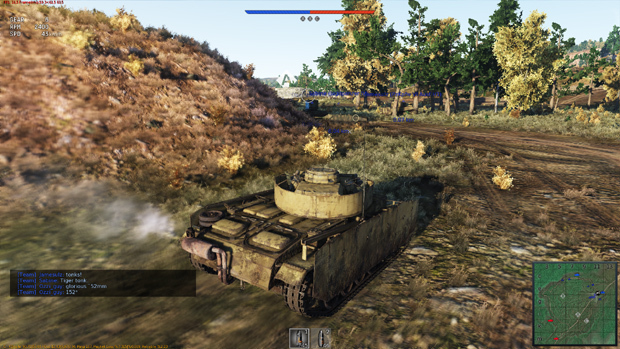 The Ground Forces portion of the game has just as much customization and realism as the planes, offering research progression to gain access to newer tanks and parts. I was given access to the closed beta of Ground Forces and got the chance to get an early look at this massive update to the game. Before I get too far into the article, I want to stress that this game is in closed beta and still has a lot of room for tweaks and change. That means what I report here may not be accurate at a later date. That being said, the game is surprisingly polished for the stage of development it is in. I didn’t notice any bugs during my play sessions, and the only thing I could complain about was my own skill at the game. 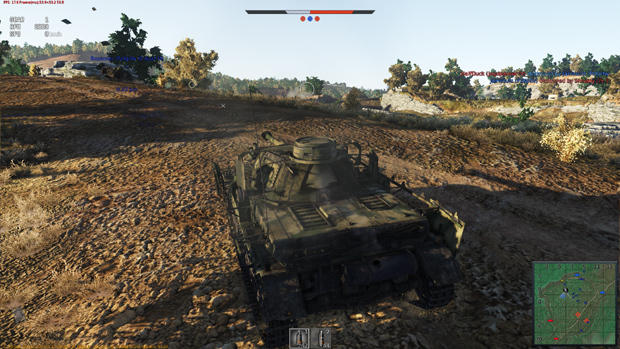 The physics might need a bit of a tweak, as I frequently rolled over my tank, but they honestly felt quite good and I wouldn’t mind if they weren’t changed at all. Just as with the planes, the tank models in the game are amazing. Right away I was blown away by the quality and detail. The map graphics were also amazing, with a lot of care put into them to make them not only beautiful, but also interesting enough to add more complexity to the combat. There’s also a lot of little details that add a whole other level of awesomeness, such as track marks in the dirt or smoke coming out of your tanks exhaust. I have nothing but praise for the superb graphics. 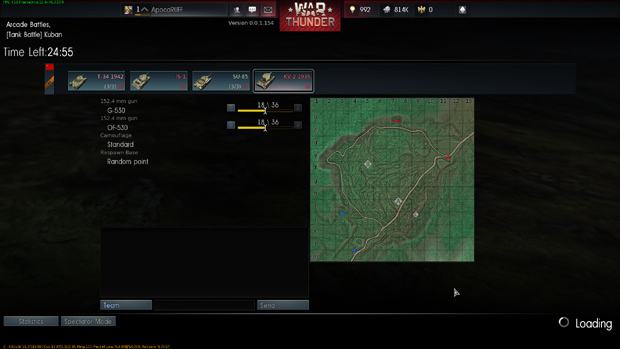 As I mentioned, the maps were great, too. As far as I could tell, tank and plane integration hasn’t happened yet. The size of the maps is currently not as big as I was expecting, but I assume this is because air and ground forces haven’t been fully merged yet. The size of the maps is still quite large, though, and there’s plenty of places to take cover. There’s a lot of tactics involved, and you’ll be sitting around waiting for a careless prey to show up a lot. The tank controls are very straight forward. WASD to go forward, turn, and reverse. Mouse to aim your turret. Stuff like that. 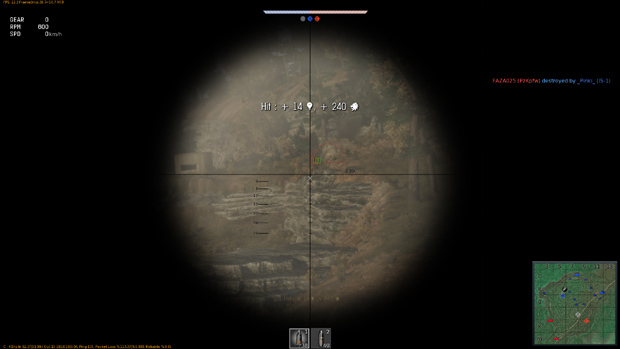 If you’ve played an FPS (or World of Tanks), you’ll probably catch on very quickly. Everything seemed to work great and it was an all-around smooth experience. One of the things I appreciated a great deal, but I’m not sure if it’ll be available in the live version (or if it is, in the different game modes), was the trajectory assistance. There is a small X on your cross-hair that will show you how much your shell will fall. 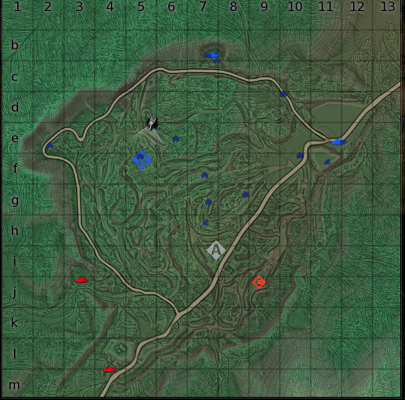 This makes it very easy to quickly figure out where you need to be aiming to hit that tank hiding behind a rock half-way across the map. The movement controls, especially the turning, responded exactly as I thought a tank should respond. The tanks are spectacular. I’ve already mentioned that I love the detail put into them. Right now the selection is fairly limited (at least compared to the plane portion of the game), but more tanks are being released at a decent rate. I’m sure by time Open Beta is released, there will be a huge selection of tanks to go after. Just like the planes, you gain access to new tanks via research. 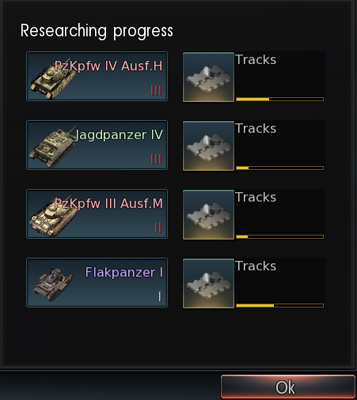 It seems that your research in various tanks goes up as you use them in battle, kind of like experience. Just like with the planes, you have access to all your tanks in a battle, and you’re not out of the game until all of them are destroyed. It also seems that tanks have multiple uses (or you can have multiple of each tank). 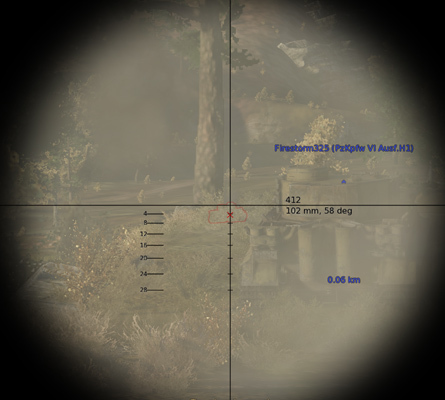 This is displayed as a counter on the tanks picture when you’re actually in the game. I was happy to have this feature as tanks tend to blow up frequently when you’re not used to the game. 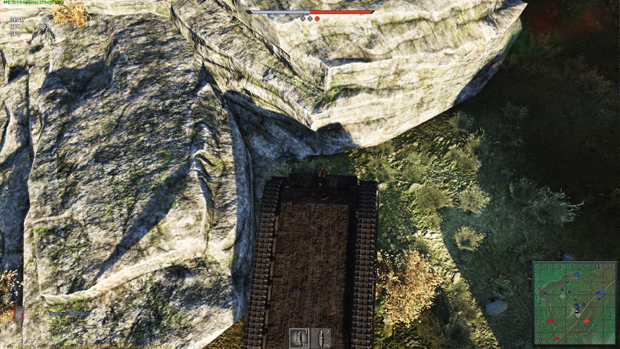 About half of my tanks in my first game were lost due to falling off a cliff and flipping over. Time to discuss the most important thing – combat. 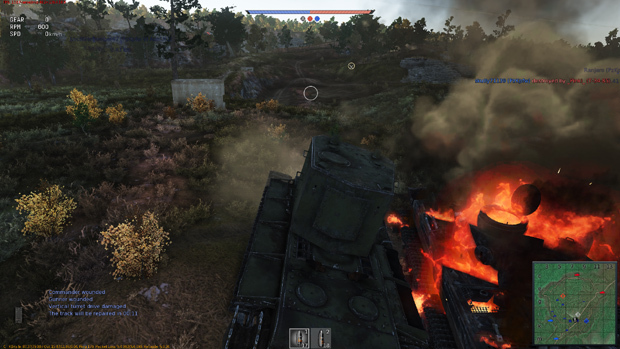 I instantly fell in love with the combat in War Thunder: Ground Forces. The mind-blowing visuals combined with the responsive controls made for an incredible experience. There’s a variety of different tanks, from the fast kind with not much fire power, to the lumbering giants with massive cannons, and even tank destroyers. Depending on your choice of tank, your tactics will change and so will the way you participate in combat. My favorite way to do things was to find a nice high cliff and set myself on it, waiting for enemies. If I saw someone, I was almost always in a great place to hit them and if they saw me and started to return fire I could easily back off and re-position. However, I did find myself in situations where I needed to fire and move at the same time, and that was probably one of my most intense experiences I’ve ever had in an MMO. Even when I ended up getting blown up, I had a blast. The damage model also seems to be as detailed as the models themselves. You can have pieces of armor blown off, your treads damaged, and even your turret disabled. Crew members can also receive injury or die, which can affect your performance greatly. Field repairs can be done, but will temporarily leave you open to attack for a bit. The first time I watched a shell connect with one of my allies and saw the armor plates fly into the air was simply cinematic. From the time I’ve spend in the Ground Forces portion of War Thunder, I can definitely tell it will be an amazing addition to the game. I was already in love with the plane portion of War Thunder, so the fact that I will soon be able to get my tank fix from it as well is fantastic. The game looks beautiful and all the tank models are detailed to the extreme, which makes for some of the most intense fire-fights I’ve experienced in a game. This is one of the few times that hype for a game is well warranted and I can’t wait to see how the game continues to progress. This week's Tribes Ascend update will include new content for the Infiltrator Class.